Scott Construction started its own granite quarry in 2015 to support its chip seal paving work throughout Wisconsin. Once deployed, the 1021F saved the company 230 gallons/week while working 14 hour days compared to a comparable wheel loader. 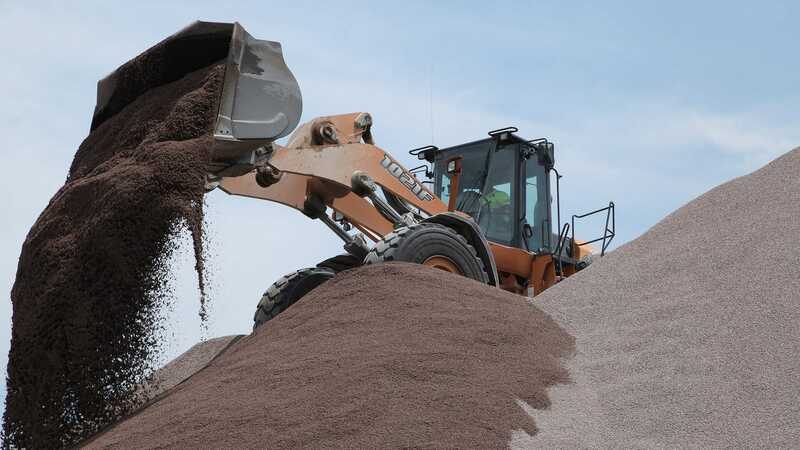 Scott Construction Inc., Lake Delton, Wis., is one of Wisconsin's leading asphalt surfacing companies, and the largest chip seal contractor in the state. 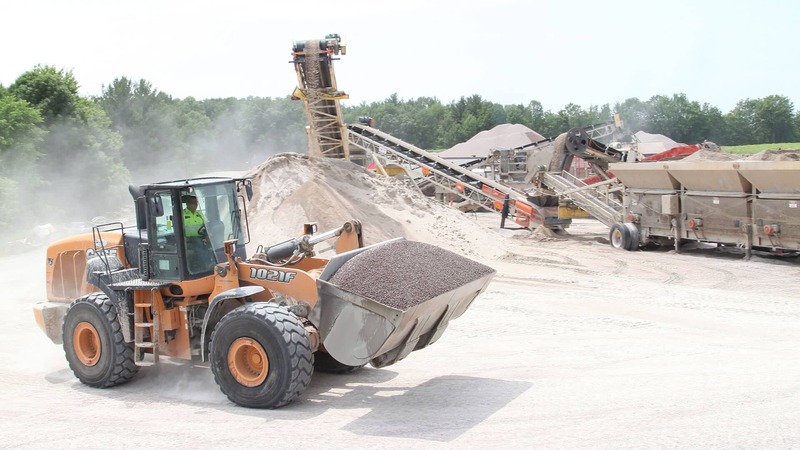 To support the amount of chip seal work the company performs throughout Wisconsin and Minnesota (regional suppliers couldn’t keep up with the demand), the company began mining granite out of the new Pine Valley Quarry (Neillsville, Wis.) in 2015. By early June 2016, the company had tripled its production out of the quarry compared to all of 2015. 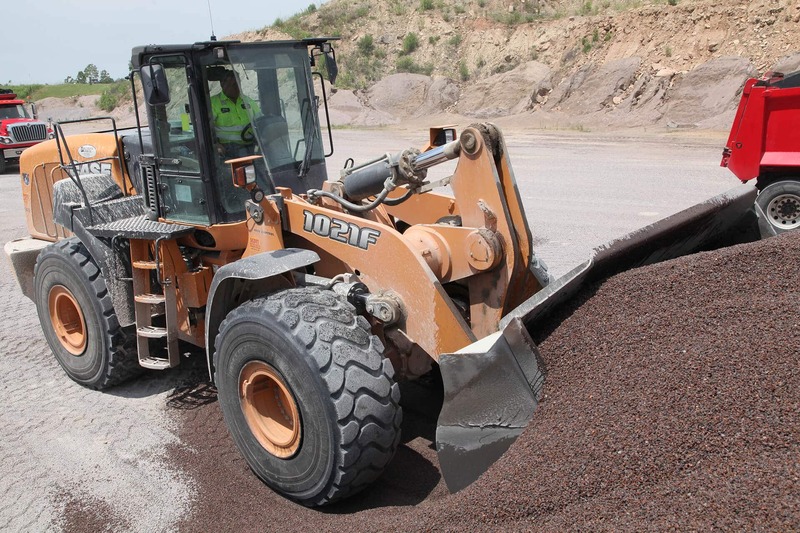 Much of that workload is performed on the shoulders of its wheel loader fleet. The company uses both a CASE 721F wheel loader and a CASE 821E wheel loader in the crushing stages of production. 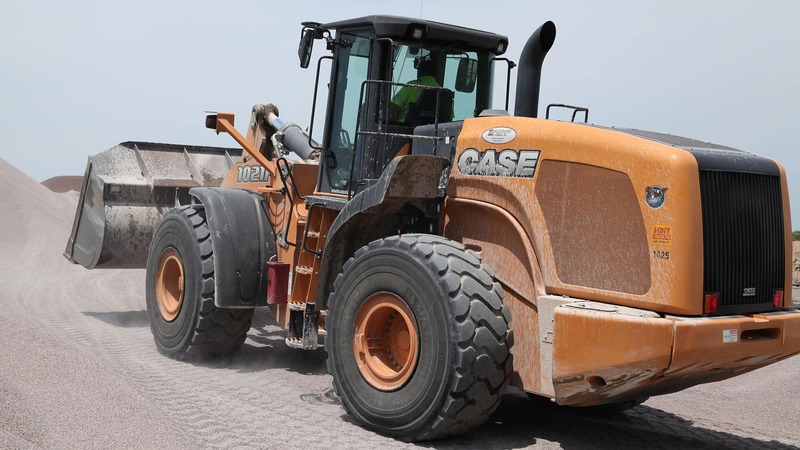 From there, a CASE 1021F wheel loader takes over and handles the bulk of truck loading and material handling activities. Over time, the 1021F wheel loader has become the most important machine in the pit. Scott Construction handles 350 tons of granite each hour over the course of a 14-hour day. Daily tonnage often exceeds 4,000. 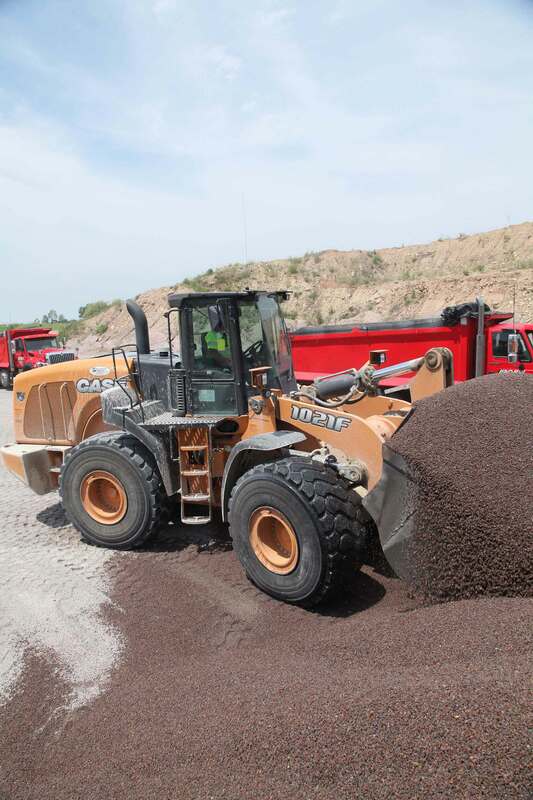 With such a heavy workload – Scott Construction worked with Wisconsin dealer Miller-Bradford & Risberg to equip the site with a high-capacity wheel loader that would combine speed, power and fuel efficiency. The 1021F is powered by a 296 horsepower FPT engine and is driven by a four-speed Powershift transmission with heavy-duty axles with a locking front differential. One of the first things White first noticed with the machine was its climbing ability. After dealing with significant overflow, the company recently built ramps to improve on-site stockpiling.